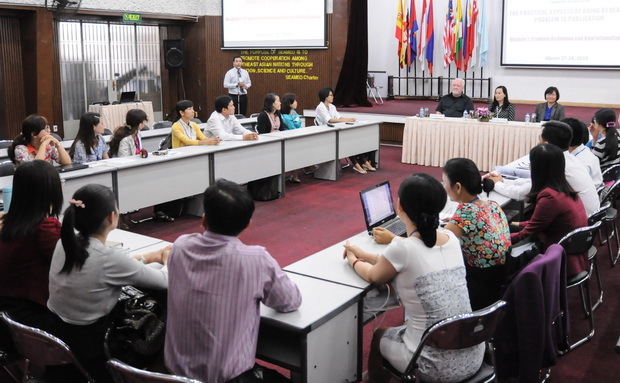 On March 27-28, 2014, SEAMEO RETRAC conducted the training workshop on “The Practical Aspects of Doing Research: Problem to Publication, Module 1 – Problem Definition and Operationalization” for 34 lecturers and research staff from colleges and universities in HCMC and neighboring provinces. 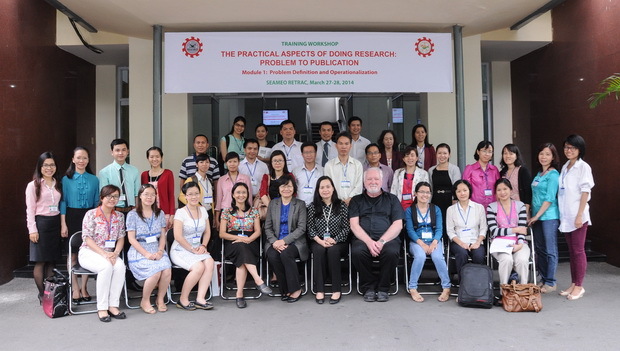 The training program aimed to equip participants with latest information about research, to develop and enhance the participants’ skills in doing research and explore in-depth practical issues in this area. 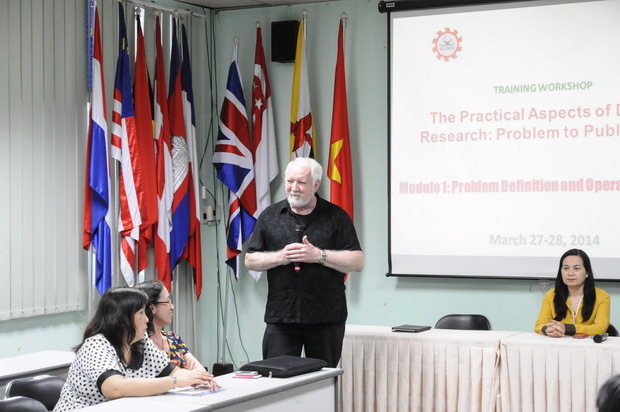 The first module provided the participants with better understanding about finding a topic, research questions/problems, sampling and measurement in doing research. Module 2 – Fundamentals of Research Designs is going to be conducted on May 08-09, 2014.